I started my yoga journey 7 years ago after years of searching for a fitness regimen that complimented my gymnastics background. I fell in love with the openness yoga gave to me, both mentally and physically. After much convincing from friends, 3 years ago I attended my first crossfit class. It was the first time I had worked out with shoes on since I started yoga. Awkward and not having a clue what I was doing, I was instantly hooked. I began to feel stronger in my yoga practice and I noticed how open and flexible my yoga practice was to my Olympic lifting. Yoga and crossfit have become my yin and yang. It has been amazing to watch the growth of athletes at the box as they begin their yoga practice. 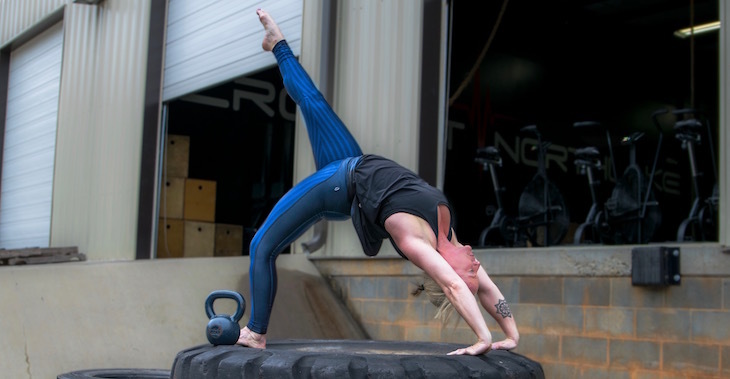 I’m so honored to share my yoga love with Crossfit Northlake!